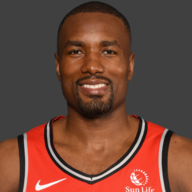 S. Ibaka29 MIN, 14 PTS, 5 REB, 0 AST, 0 STL, 5-12 FG, 2-5 3FG, 2-2 FT, 0 BLK, 0 TO, 0 +/-Was a bit trigger-happy for most of this one, with some bad shots off the bounce and in motion instead of the stand-still ones that usually work for him. Serge’s defense was also slower than usual, despite playing on 3 days’ rest. 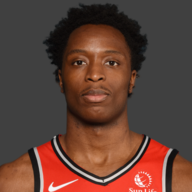 O. Anunoby26 MIN, 17 PTS, 3 REB, 2 AST, 0 STL, 5-7 FG, 1-3 3FG, 6-6 FT, 0 BLK, 0 TO, 3 +/-Struggled a bit on defense early on with the constant Warrior cuts to the basket, but OG’s offense was what was most improved. He scored in a variety of ways moving without the ball including cuts to the rim, outside shots, and even getting 6 trips to the free-throw line. 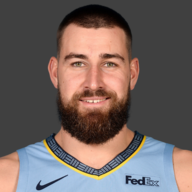 J. Valanciunas26 MIN, 12 PTS, 9 REB, 3 AST, 0 STL, 3-8 FG, 0-0 3FG, 6-6 FT, 0 BLK, 3 TO, 3 +/-JV had some nice jump hooks early on, but made his biggest contribution in the 3rd quarter with 8 points and 6 rebounds, triggering some life for Toronto. You had to feel good for JV, who you wouldn’t think could really make a meaningful contribution against a team like GSW. 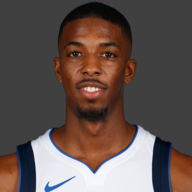 D. Wright24 MIN, 4 PTS, 2 REB, 2 AST, 1 STL, 1-4 FG, 0-0 3FG, 2-2 FT, 0 BLK, 1 TO, -2 +/-Just a rough night for Delon, as nothing seemed to really go right. His trips to the rim were mostly empty, and he got the short end of a couple of officiating decisions. But one thing you can count on almost every game is a nifty steal with active hands in passing lanes. He had a beauty in the third quarter leading to an OG fast break dunk. D. DeRozan38 MIN, 42 PTS, 5 REB, 3 AST, 0 STL, 17-31 FG, 0-4 3FG, 8-10 FT, 0 BLK, 2 TO, -3 +/-Was the Raptors’ only option in the first half. DeMar’s defense was probably the worst part of his game tonight, but alongside an improved team defense in the fourth quarter, DeMar was simply unstoppable. 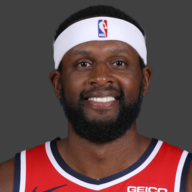 Just wish he trimmed his toenails to avoid those on-the-line 3-point attempts, but his floaters, mid-range jumpers and ability to get to the line were incredible. 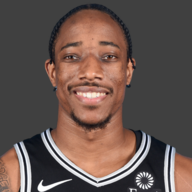 42 points on 55% from the field is part of the new DeMar. But unlike KD, DeMar missed on a couple of turnaround J’s that could’ve given the Raptors the lead late. 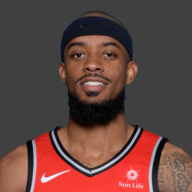 C. Miles22 MIN, 8 PTS, 2 REB, 1 AST, 0 STL, 2-9 FG, 2-7 3FG, 2-4 FT, 0 BLK, 1 TO, -6 +/-It looked like it would be another one of those lousy shooting nights for CJ early on where he doesn’t do much else, but Miles’ 2 big 3’s in the fourth quarter was a huge part of the late-game run. His 2 missed free throws late in the game cost Toronto big time though. 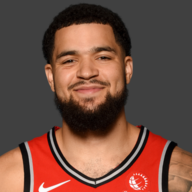 F. VanVleet21 MIN, 13 PTS, 5 REB, 4 AST, 1 STL, 5-9 FG, 3-6 3FG, 0-0 FT, 0 BLK, 2 TO, -3 +/-This guy is a gamer man. Fred’s outside stroke, tenacious defense, and timely shots unlocked the Raptors in the fourth quarter and showed us once again that this bench backs down from nobody. 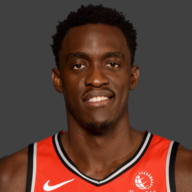 P. Siakam21 MIN, 6 PTS, 6 REB, 2 AST, 1 STL, 3-4 FG, 0-0 3FG, 0-0 FT, 1 BLK, 1 TO, -8 +/-In a matchup that usually favours Pascal’s style, his lack of scoring ability seemed to kill Toronto in the first half. But his relentless defense and effort on the glass was huge for the Raptors in the fourth quarter. 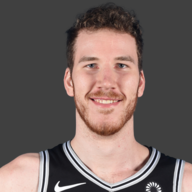 J. Poeltl18 MIN, 5 PTS, 6 REB, 2 AST, 0 STL, 2-4 FG, 0-0 3FG, 1-2 FT, 1 BLK, 1 TO, 5 +/-What is it about Jakob and the Warriors? While the offense wasn’t a huge factor, his defense was something else. After a disgusting block on Patrick McCaw in the first half, Poeltl’s defense continued to stimy the Warriors in the second half, including a huge block on Steph Curry that was somehow called a foul. 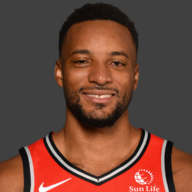 N. Powell11 MIN, 2 PTS, 0 REB, 1 AST, 0 STL, 1-3 FG, 0-0 3FG, 0-0 FT, 0 BLK, 0 TO, 2 +/-Just 2 points for Norm on one aggressive take to the rim in the fourth quarter. Powell still seems to be looking for his identify offensively, but his defensive effort in the fourth quarter was a welcome sign. L. Brown5 MIN, 2 PTS, 1 REB, 2 AST, 0 STL, 1-1 FG, 0-0 3FG, 0-0 FT, 0 BLK, 0 TO, -1 +/-Just some spot minutes tonight for ‘Zo. Dwane Casey Coach Casey didn’t seem to have his team ready for the Warriors’ intensity to start the game, which seemed to completely blitz Toronto early in the second quarter. But give credit to him for sticking to his young players down the stretch and keeping his team engaged heading into the fourth quarter. I also liked that he stuck with Poeltl down the stretch instead of bringing in Serge. A terrible first half: On almost every possession in the first half, the Raptors just seemed a step slower than Golden State. The Warriors shot over 71% from the field in the first half with a +8 and +19 in the first 2 quarters, and a total of 81 points (the Raptors all-time franchise high in points allowed in a half is 84). No matter how fired up you are for the second half, after giving up that kind of first half, it’s just hard to win the game. What a second half: After a red-hot first half for Golden State in which Toronto’s defense was suspect at best, the Raptors came out with a fiery defensive disposition in the second half. The Warriors’ offense ground to a halt, and the Raptors bench, against the Warriors starters brought them back into this one. Spearheaded by Fred VanVleet’s defense, CJ’s shot-making, and Poeltl and Siakam’s defense, the Raptors showed out in one of the most impressive comebacks in recent memory. That was simply incredible. DeMar keeps on balling: DeMar’s offensive onslaught was huge for Toronto in the second half. While his efficiency and overall production was impressive, DeMar’s defense, and shot selection down the stretch (and Casey’s ability to draw up plays for the offense) was a tad disappointing. KD and Steph seemed to hit all clutch field goals, but DeMar missed a couple of big mid-range jumpers in the final minutes. Either way, Deebo was locked into a zone and couldn’t be stopped for most of this one. OG: While the defense was up and down, OG’s offense was one of the storylines in this game, as Anunoby showed the multiple ways in which he could score. He showed some ability to move without the ball tonight which was impressive, and while he wasn’t part of that fourth quarter comeback, his 17 points on 5/7 from the field and 6/6 from the line, proved that the offensive potential is there. Lazy officiating: From time and time again, we saw the officials make some questionable calls in this game. From touch fouls on Jakob Poeltl, to calling fouls on 3 separate “all-ball” plays, the referees just seemed lazy in this game, seeming to make many calls on reputation rather than merit. Sure, the Raptors didn’t necessarily do their part in the first half, but a couple of momentum-changing calls against them in the second half seriously crippled their comeback efforts.